Start planning your trip to the 2019 French Grand Prix at the Paul Ricard circuit on the French Riviera. The next race takes place on June 20-23, 2019. France is the number one most visited global travel destination, attracting over 80 million visitors annually. The largest country by area in Western Europe has a lot to offer the traveler, and it’s worth considering a trip to the French Grand Prix as part of a longer itinerary. After an absence of ten years, the French Grand Prix made a welcome return to the F1 calendar in 2018. 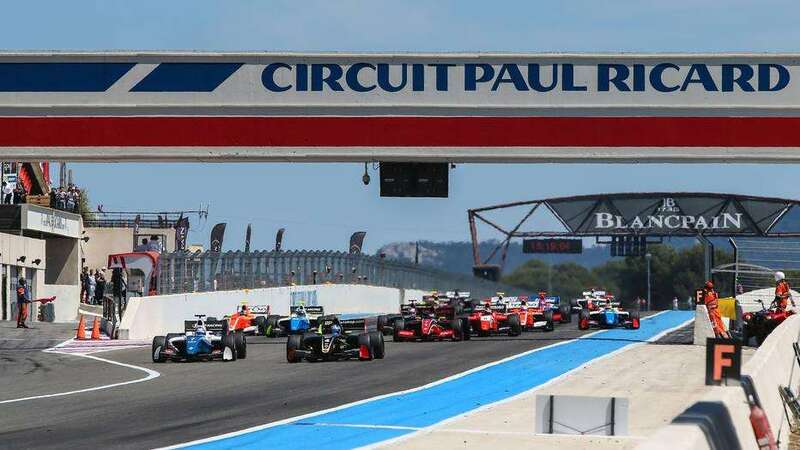 Hosted at the Circuit Paul Ricard in the beautiful Le Castellet wine-growing district in the Provence-Alpes-Côte d’Azur region of southeastern France, the circuit is close to the Mediterranean coast on the French Riviera and just 40km from Marseilles, the second largest city in France. France is a member of the Schengen Area, which provides border-less travel between 26 European countries. If you are travelling from major Western countries such as the UK, USA, Canada, New Zealand or Australia, you will be granted visa-free single entry to the Schengen Area for up to 90 days. There are no passport checks to travel in and out of France from other Schengen area countries, except when there is a heightened security alert. Learn more here. Le Castellet benefits from a typical Mediterranean climate with hot, dry summers and lots of sunshine. The average temperature range in June is a high of 25.7°C (78°F) and a low of 16 °C (60°F), though temperatures can easily be much higher. Rainfall is rare at this time of the year. In general, France is a very safe country in which to travel. However, there has been an increase in the number and severity of terrorist attacks in the country in recent years. The French government has stepped up security measures as a result, including armed police offers at major tourist attractions and events, and on public transport. The closest major city to the Paul Ricard circuit is Marseilles. The second largest French city after Paris does have a reputation for high crime and racial tensions, though much of this is confined to housing estates in the north of the city. Pickpockets and bag snatchers are active in Marseilles, so don’t display any ostentatious wealth such as gold jewelry or expensive watches. Extra vigilance is also recommended at subway stations, the Marseille-St-Charles railway station and on public transport. If you decide to hire a car for getting to and from the circuit, make sure you pay for protected parking. France uses the EURO currency. Credit cards are widely accepted and ATMs are easy to find. France operates on Central European Time (CET), which equates to GMT +1 hour. The number to dial in case of an emergency in France is 112.